Andre Taggart made the decision early in his life to register as a member of the Democratic Party, as is his right under the Constitution of the United States. Mr. Taggart also made the decision as a young man to serve his country as a US Marine, which he did, and has the honorable discharge to prove it. It should also be noted that one of the Marine Corps’ 12 Leadership Traits is integrity; a trait that the vast majority of Marines consider the most important of all twelve. Definition – Uprightness of character and soundness of moral principles. The quality of truthfulness and honesty. honesty in all of your dealings with subordinates, peers, and superiors is acceptable. Example – A Marine who uses the correct technique on the obstacle course, even when he cannot be seen by the evaluator. As any objective observer would note, the hulking former Marine has integrity in spades. Significance – Knowing and standing for what is right, even in the face of popular disfavor. The business of fighting and winning wars is a dangerous one; the importance of courage on the battlefield is obvious. to get the job done correctly. Despite no longer being an active duty Marine, Taggart proves true the old adage: Once a Marine, always a Marine. 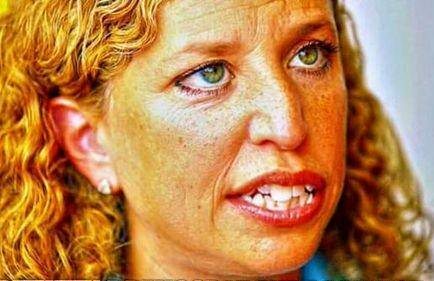 As reported by Luke Rosiak of the Daily Caller news portal, it was Taggart who discovered possible evidence of criminal activity by Congresswoman Debbie Wasserman Shultz, who also happens to be the ex-chairwoman of the Democratic National Committee. A Marine who provided key evidence in the FBI case against Democratic Rep. Debbie Wasserman Schultz’s former IT employee [Imran Awan] said he is appalled by her claim that Islamophobia led U.S. Capitol Police to frame the former staffer. “Him, his wife [Hina R. Alvi], his brother(s) [Abid and Jamal Awan], all working down there — there’s no way they could do this without help. If we can drag Trump and his wingnuts through the mud for the Russia influence that they are having, then it’s only fair that we also expose this s–t,” Taggart said. As previously covered by Conservative Firing Line earlier this year, Imran Awan pulled in a cool $165,000 a year, three times the amount of the average House IT staffer. Abid A. Awan was employed by Lois Frankel and Ted Lieu: members of the House Committee on Foreign Affairs. Also on the committee is Castro. As is Robin Kelly whose office employed Jamal Awan. Lieu also sits on thesubcommittees on National Security and Information Technology of the Committee on Oversight and Government Reform. Gwen Graham, who had also been on the Armed Services Committee and on the Tactical Air and Land Forces subcommittee, had employed Jamal Awan. Jamal was also employed by Cedric Richmond’s office. Richmond sits on theCommittee on Homeland Security and on its Terrorism and Cybersecurity subcommittee. He is a ranking member of the latter subcommittee. Also employing Jamal was Mark Takano of the Committee on Science, Space, and Technology.